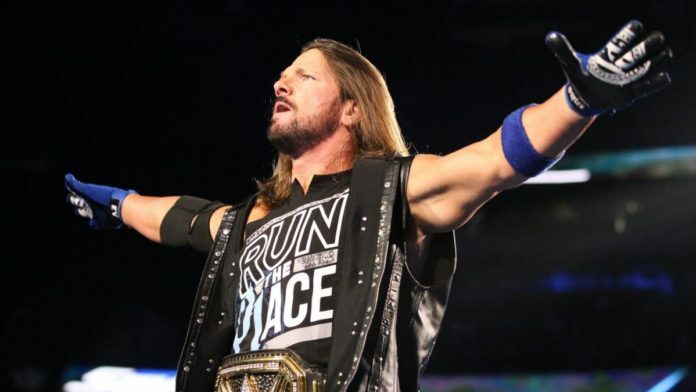 The final segment of this week’s episode of SmackDown Live saw Samoa Joe and AJ Styles building the final hype for their upcoming Championship match at SummerSlam. During the segment, Joe tried to bring Styles’ family into their feud again and the former TNA Star read a letter which was allegedly from the WWE Champion’s wife. Following the mentioned backstage segment and the 205 Live episode, Styles came out again and reunited with Luke Gallows and Karl Anderson for a 6 man tag team dark match. The trio formerly known as the Club, faced the team of Randy Orton, Samoa Joe, and United States Champion Shinsuke Nakamura, in a match that was reportedly shorter than the entrance of the involving superstars. The match wrapped up in less than 4 minutes and the finish saw Shinsuke Nakamura hitting Gallows with a Kinshasa only to be hit with a Styles Clash. The WWE Champion then went on to pin the former NXT Star and won the match for his team.